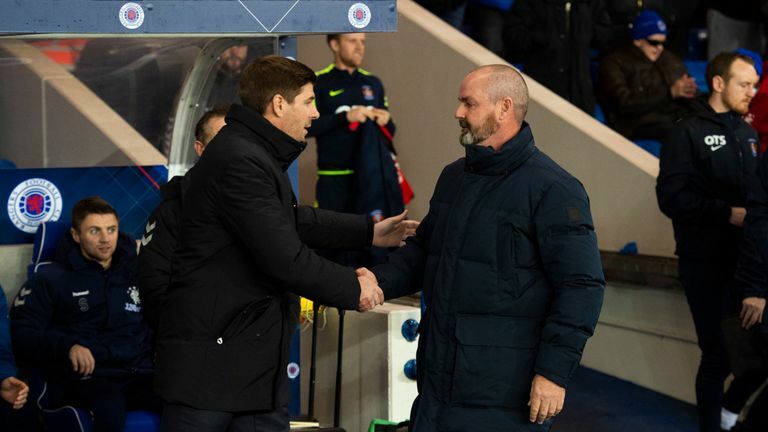 Rangers manager Steven Gerrard says there is nothing to "straighten out" with Kilmarnock boss Steve Clarke following their war of words this week. Rangers manager Steven Gerrard played down his midweek spat with Steve Clarke following his side's 0-0 draw against Kilmarnock in the Scottish Cup. Gerrard accused Clarke of showing a lack of class for trying to get Rangers striker Jermain Defoe banned for diving. Clarke responded by insisting he was only asking for consistency from referees and claimed Gerrard had made the matter "personal" with his comments. "There's nothing to straighten out really. I'll go in now and have a beer with him and we'll move on," Gerrard said after Saturday's draw. Clarke, a former Liverpool coach of Gerrard's, said: "I've just bumped into him going down the stairs. We will go and have a little chat, like I do with all the managers that come here. 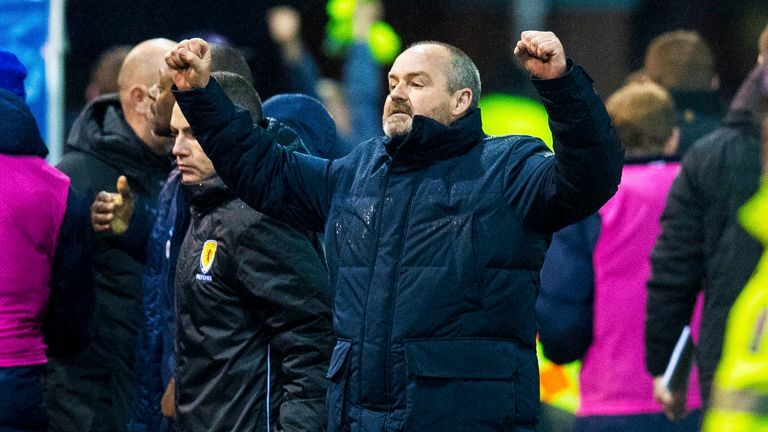 Kilmarnock manager Steve Clarke has hit back at Rangers boss Steven Gerrard over the punishment of players for alleged diving. "There's no problems. It's all part of the game, no worries at all with Steven. We'll have a good chat." Gerrard said he would watch with interest whether any retrospective action results from their following Alan Power's high challenge on Ryan Jack. Referee Alan Muir had a perfect view of the first-half incident and booked the Kilmarnock midfielder after Power's studs flew into the side of Jack's head as the Rangers midfielder went up for a header. But after seeing his goalkeeper, Allan McGregor, charged over a challenge on Aberdeen's Lewis Ferguson and top goalscorer Alfredo Morelos losing an appeal against his latest red card, Gerrard is taking note of Scottish Football Association compliance officer Clare Whyte's next move. When asked whether Kilmarnock should have gone down to 10 men, Gerrard said: "No comment. But I'll be interested to see if there's a citing. I don't know who points the citings out but I'll be interested to see what happens." On his own club's dealings with the SFA disciplinary process, Gerrard said: "I just hope that moving forward we can find some consistency, that's all I can say really. "Alfredo's done, he'll serve his punishment. I'm told he will be back for the replay and I'm sure he will be really, really looking forward to that game, and it will be great to have him available again. "In terms of McGregor, you know what we are doing with that one (challenging a two-match ban)."